Insurance is an important part of business, providing enterprises options to pursue greater opportunities they would not have had without it and affording continuity when things go wrong, as they sometimes do. 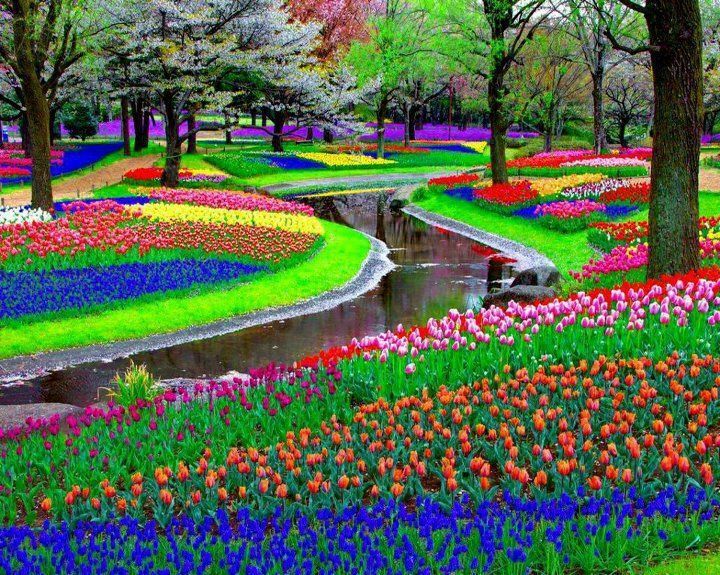 The insurance industry is in the business of managing risk and the field of Risk Management has sprung forth from it, much like flowers after a spring rain. Depending on the nature of the operations, the loss consultant will “survey” or gather information in person or by phone, usually after an insurance policy goes into effect or when it renews. If the survey is in person, the loss consultant will set up a time that is most convenient for the insured, avoiding periods of high activity so not to disrupt operations, or low activity as vacation times and holidays. In the presurvey phase, the loss consultant should provide the insured with a brief listing of the information to be examined, such as: company safety programs, inspection forms, incident and accident investigations, and other records and documents as company policies and specific records. The survey starts with an opening conference, a walk-through of any facility or a look at any vehicles present, a records/documents examination, and a closing conference. The purpose of the survey is not to find a list of deficiencies, but a factual review of safety and discussion of any hazards or potential hazards, why the situation is hazardous, and what can be done to improve safety. The loss consultant may discuss several recommendations to improve safety and various options to meet those recommendations. The postsurvey phase should result in a formal, follow-up letter of recommendations and how the insured can make safety improvements. On occasion the loss consultant may schedule a follow-up visit regarding the recommendations. Change is difficult. In the real world, you find people don’t like or want change. “We’ve always done it that way.” Complacency sets in. Anyone working in loss control or risk management soon discovers the prevailing attitude that our job is to make life difficult. And the status quo can be mean and resourceful. Rather than seeing any added value, loss control becomes a weed, and like any noxious weed, people are constantly trying to kill it. Communicate well. One of the most effective communication strategies is to listen more than you speak. But just because it’s effective, doesn’t mean we always do it or do it well. Clear communications save everyone time and money. Failure to communicate well is the root cause of many a misunderstanding. Ask your loss consultant questions. Why is this recommendation critical? What are some other alternatives? Are there any time constraints in following up? Be forthright. Nobody is perfect. Not meeting certain safety standards can always be fixed. But not fixing a possible safety issue is never a good long-term policy. Cutting back on safety efforts will not result in long term savings. It’s the little things that make a big difference. The key word in loss control is control. Small improvements over time add up. Take control over the safety improvement process. Anyone can make an honest mistake. But sometimes an error can carry a lot more risk than bargained for. Risky things . . . have a way of going wrong. Some mistakes are never okay. Here are five risky driver behaviors that should never occur . 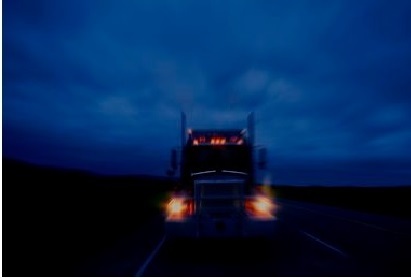 . .
It’s never a good idea to let an unauthorized driver behind the wheel of a big rig. 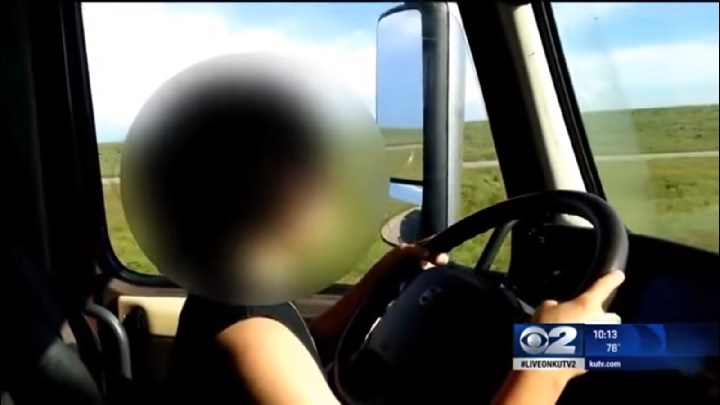 It’s a really, really bad idea to let a child drive a tractor trailer. See more here. Yet many companies do not have a formal policy prohibiting unauthorized drivers. Another bad idea . . . This driver made a mistake and missed his exit ramp. He then made a much bigger mistake by backing on the expressway. Another bad, bad, idea . . .
Never mind the double-yellow and oncoming traffic . . . They got away with it . . . this time. That’s all that matters, right? Wrong. 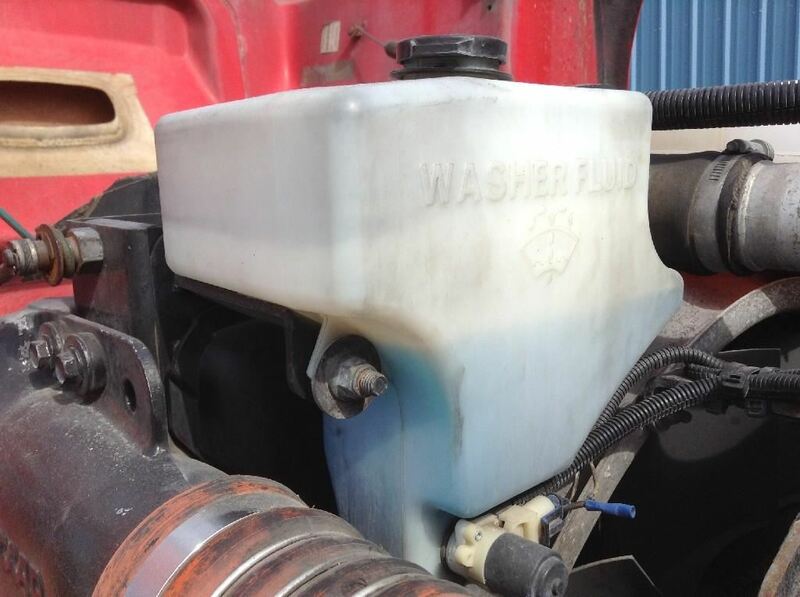 One truck was hit while making a U-turn when the truck got stuck in the mud and could not clear traffic, costing the company a $755,000 settlement. Some U-turns gone bad have ended in multi-million dollar lawsuits after costing other drivers their lives. 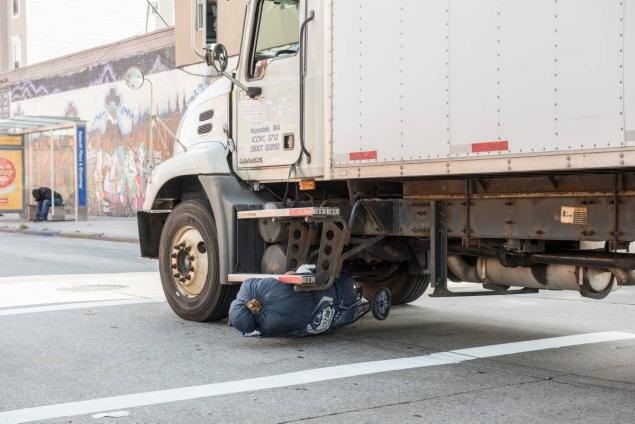 This truck driver was texting, when he sideswiped a car before losing control and crossing over the medium into oncoming traffic, resulting in a fatal crash. “It just didn’t have to happen. This driver needs to take this all on himself,” said one of the investigators. This driver is well behind the 15 foot stop line, but then decides to proceed anyway . . .
No harm, no foul . . .
That is, until somebody has to call 911 . . . These high risk and dangerous driver behaviors occur again and again. Many times a small error was made and the error becomes compounded by taking a shortcut. Nobody likes to admit to making a mistake. 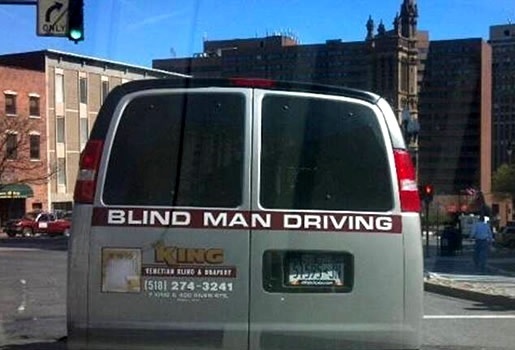 At other times, it is simply bad judgement on part of the driver. Here are some other bad driver behaviors known as “red flag” violations. But First: The Good News . . .
Good News: Nationally, U.S. pedestrian fatalities have decreased by 1.7 percent from 2012 to 2013. It is the first decrease since 2009. A pedestrian is a person on foot or on roller skates, skateboard, etc., other than a bicycle. A pedestrian can also be a person with a disability using a tricycle, quadricycle, or wheelchair. But not all parts of the country fared so well. Pedestrian deaths increased in Jefferson County, according to WDRB of Louisville, KY. In 2014, 18 people were killed crossing the street — two by the same ready mix concrete company. Pedestrian injury collisions were the highest in over a decade, numbering 483 in all. It’s not always the fault of the driver. In some cases, the pedestrian is jaywalking, on the cell phone or listening to music, darting into the road or not visible. Busy multi-lane roads can be difficult for pedestrians to safely cross. Wheelchairs are difficult to see, and in one case in Michigan, a 21-year old man was pushed by a truck several miles down the the Red Arrow Highway at speeds up to 50 MPH before the driver was alerted and stopped. The young man was unharmed but needed new wheelchair tires. Most weekday pedestrian deaths occur between 4 PM and midnight, but most weekend pedestrian fatalities occur between 8 PM and 4 AM. Many truck-pedestrian collisions occur at intersections or in making right-hand turns (and left-hand turns for buses). • Run city routes at night, if possible in order to avoid the busiest parts of the day. Some waste and recycling companies have made this their safety policy. • Vehicles should never back up at an intersection. • Turn slowly when near pedestrians, at walking speed. Start and stay in a low gear. • Do not accelerate during or in the turn. Wait until the turn is completed. • Buses should make “square” left turns. • Always be ready to stop when making the turn. • Young children (age 10 or less) have no traffic sense and can dart in front of the vehicle unexpectedly, especially if on a skateboard or roller-skates. Be cautious of children in a hurry going to school or coming home. • If the light is red, stop and stay well behind the crosswalk, to gain visual control of the intersection. • Pedestrians have the right-of-way in marked or unmarked crosswalks. Be always ready to yield. Drivers must stop for pedestrians in crosswalks (but many DO NOT). • Always stop for any pedestrian crossing at corners or other crosswalks, even if the crosswalk is in the middle of the block, at corners with or without traffic lights, whether or not the crosswalks are marked by painted lines. • Do not pass a vehicle that has stopped at a crosswalk. A pedestrian you cannot see may be crossing the street. Stop — then proceed when any and all pedestrians have crossed the street. If parked, always look under and around the vehicle before moving it. 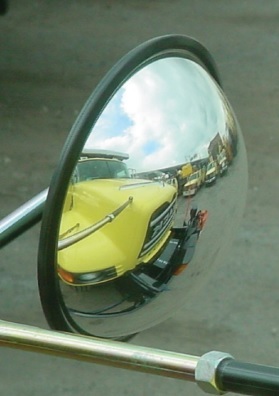 • If your trucks deliver or pass through cities and metro areas, consider installing cross over mirrors on the vehicle, now required since 2012 on all State of New York trucks that deliver in New York City. One of the strangest realizations when driving a truck is that, as big as the vehicle is, your truck is invisible. 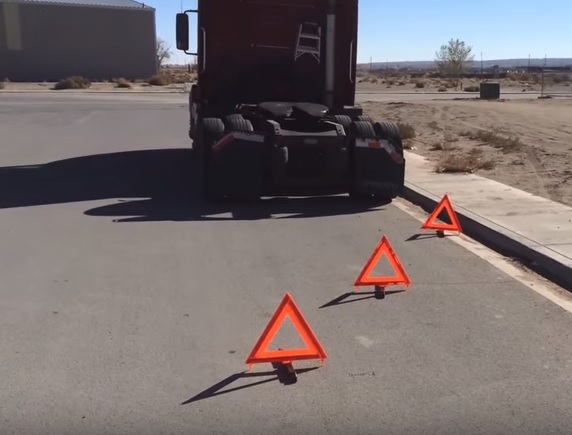 Drivers will look up, seemingly make eye contact and pull out right in front of the truck. Train engineers experience this as well. There are various theories for this happening. 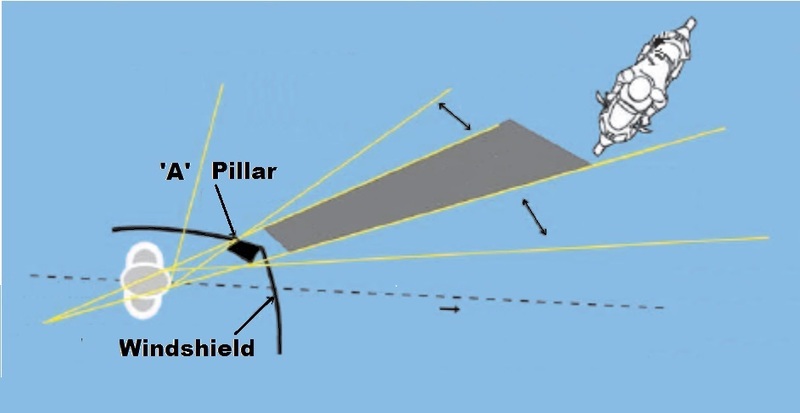 Sometimes the mind of the observer cannot connect something big coming toward them with its actual velocity. If one observes a 747 Landing, it appears to be hanging in the air and yet the “drop speed” is 140 knots or about 160 MPH. At times drivers glance up and don’t look around their A-pillar blind spot. Or drivers are simply not attentive to driving . . . Drivers may be distracted. Drivers may be under the influence. Drivers may have limited eyesight or multiple blind spots in their vision. Eyesight can change overnight. There are as many distractions as there are drivers. Distracted driving is on the rise. More people than ever are texting, phoning or driving inattentively. There are more drivers taking meds or combinations of meds that could affect their driving. There are simply more drivers out there than before and the need for defensive driving is greater than ever. The DOT’s Unified Registration System (URS). Grab a cup of coffee or two or three as today we will look at the Unified Registration System (URS). The Unified Registration System (URS) is the DOT’s new interface or portal between those regulated by the DOT and the DOT. The URS is essentially an electronic online registration and filings system (called the MCSA-1 online application). 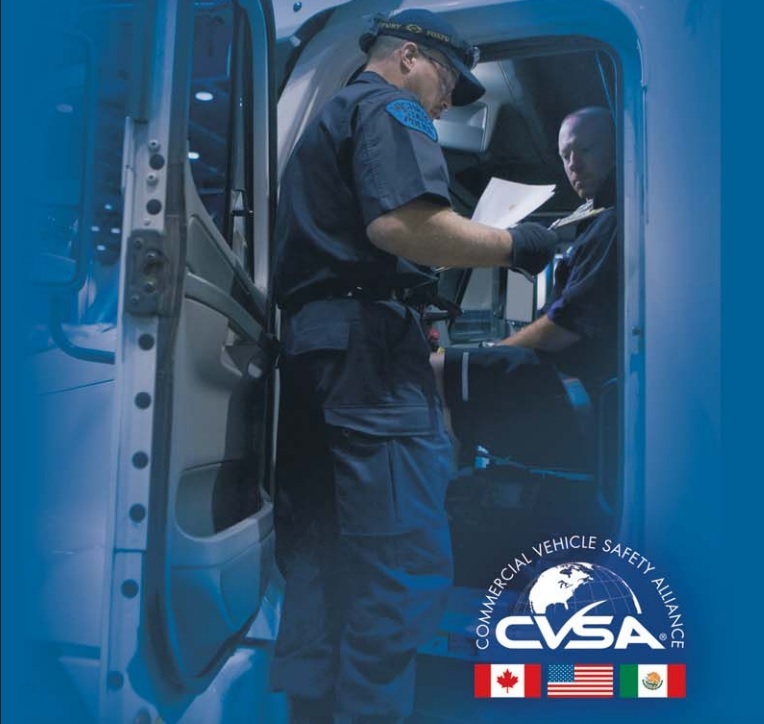 Form MCSA–1 is the URS online application and is available, including complete instructions, from the FMCSA Web site at http://www.fmcsa.dot.gov/urs. Designation of Process Agents (resident agents who collect legal paperwork — sent in directly by your process agent service bureau). Who is required to comply with this rule? Today, a notice about an extension of the effective dates for URS was published in the Federal Resister. Private and Exempt For Hire Carriers)..
the MCSA-1 online application on 9/30/2016. The URS system will accept filings for evidence of financial responsibility (insurance) from existing private hazardous materials carriers and exempt for-hire carriers, and filings for designation of process agent from private and exempt for-hire carriers beginning on September 30, 2016. Existing companies are encouraged to submit filings earlier than the December 31, 2016 compliance deadline. Applicants are cautioned to ensure that the name and address of the business as set out in all pre-registration filings match exactly the name and address provided in their . . . filings. Any deviation will result in rejection of the supplemental pre-registration filings. Businesses can change names and addresses and it may happen several times in their early years. The DOT intends to use the URS to screen for so-called “chameleon” carriers, who get shut down for safety violations or unpaid fines and then open again as a new company. A new applicant is defined as anyone who does not have, and has never been assigned a USDOT, Motor Carrier (MC), Mexico owned or controlled (MX), or Freight Forwarder (FF) number. These new applicants will be required to use the new online application when requesting registration and a USDOT number beginning on December 12, 2015. If you have a US DOT Number, there is no need to file for a new DOT number. Renew your registration (US DOT Number) with the required Biennial Update, and renew any time there is a change in operations. If you fail to renew as required there are fines and your operation will be placed Out-of-Service (OOS) by the DOT. 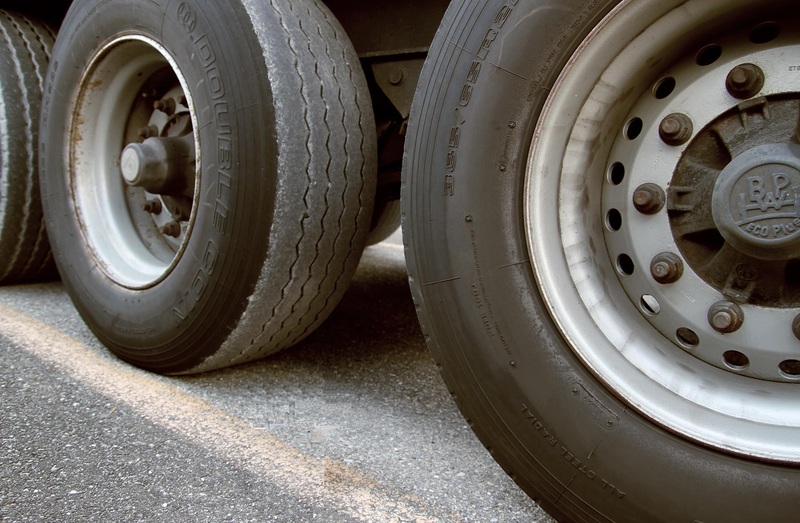 The US DOT/FMCSA has made a change in how they will gather information and required filings. 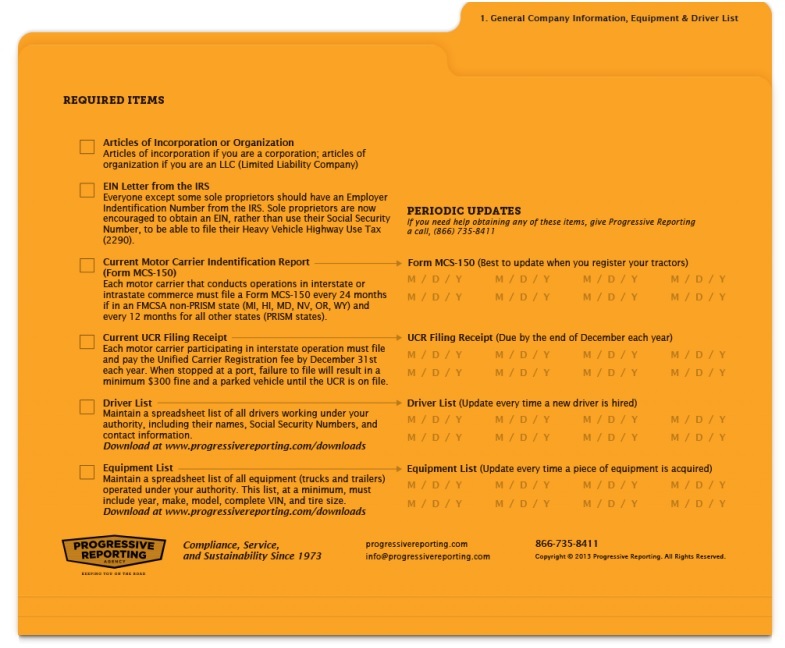 Certain paper forms are being eliminated. New applications for DOT numbers need to file with the URS (via the MCSA-1 online application) starting December 12, 2015 and pay $300 for a DOT Number. All DOT Number holders will have to file with the URS as of September 30, 2015. Expect further clarifications as the new system is deployed. Just Another Mile of Road . . . 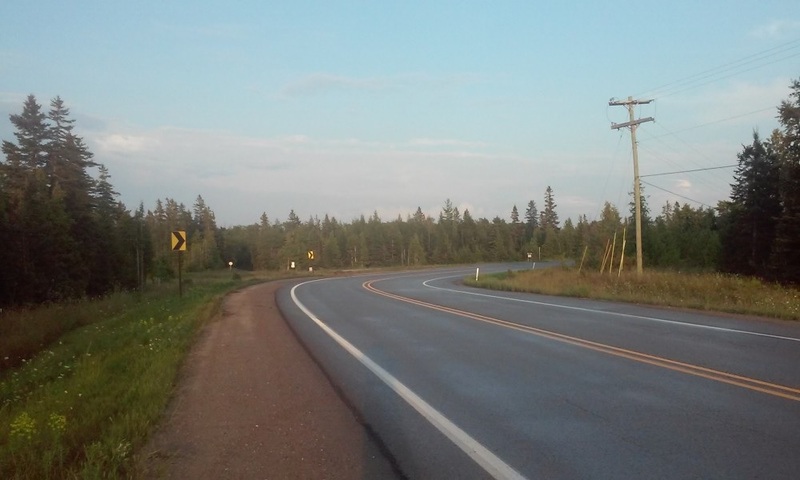 There is nothing special about Hamilton Road, in northern Michigan. Its shoulders are wide, like many roads in the area, to help spot deer. The road is kept up and in good shape and lightly traveled. 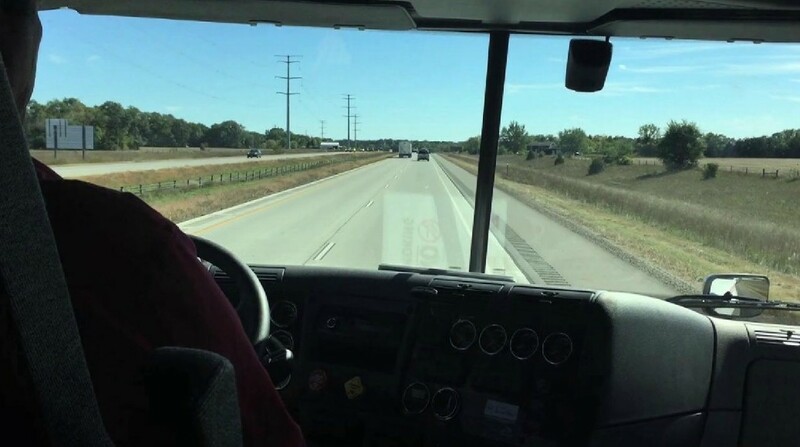 The truck driver was familiar with the road, having worked for his employer for five years, one-third of his driving career. But, this summer on an early Wednesday morning, for some reason, he didn’t negotiate the above curve. Perhaps it was a deer in the roadway, springing out like they sometimes do. Perhaps it was something else. We’ll never know because the 36 year-old driver was found trapped and “unresponsive” in his overturned tractor trailer. He was survived by his wife and three children. Almost two-thirds (63 percent) of all fatal crashes involving large trucks occurred on rural roads, and 24 percent occurred on rural and urban Interstate highways. Rollover was the first harmful event in 1 in 20 (five percent) of all fatal crashes involving large trucks and 3 percent of all nonfatal crashes involving large trucks. 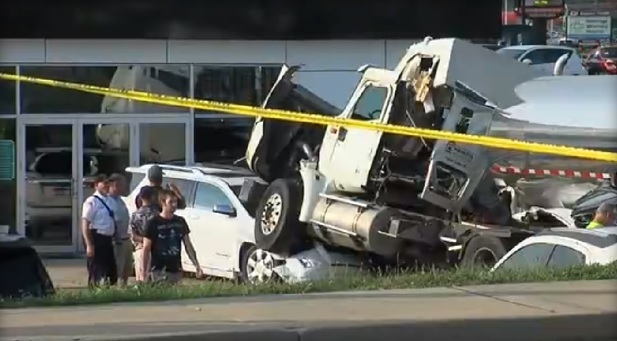 Single-vehicle crashes made up 21 percent of all fatal truck crashes, 15 percent of all injury crashes, and 22 percent of all property damage only crashes involving large trucks in 2012. 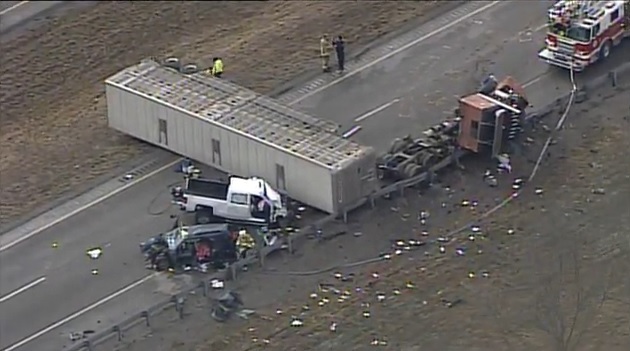 The majority (63 percent) of fatal large truck crashes involved two vehicles. For truck driver, speeding was the most often coded driver-related factor; distraction/inattention was the second most common. One thing we know for sure is that every crash is different. The roadway is different. The vehicles involved are different. And the drivers are different. Tracking statistical data, however, can point to trends. For example, one insurance company noted that their data showed a lot of limo and bus collisions occurred when the vehicles had no passengers. The implication is that the limo and bus drivers may have let their guard down a little when driving, after making their drops. So what do the numbers really say? Truck crashes are trending upwards. Car crashes, too. Insurance is likely to rise. All drivers need to be mindful, not mind-full. Pay attention. Don’t become another statistic. Ignorance: More Deadly Than a Speeding Bullet? The fire was big and hot. Too big for the local Fire Department without help from an airport foam truck. So hot the driver could not be found. A sudden swerve by the tanker driver to avoid a mattress on the road . . .
That’s right. Police say the driver crashed after swerving to avoid mattresses that fell from the roof of another vehicle. The mattresses are fine. The tractor, tanker, and driver are now just memories. 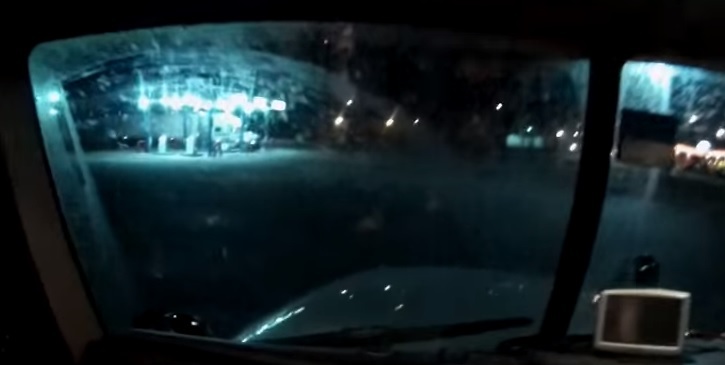 Sure, the driver probably believed he was doing the right thing. The outcome was not what he expected or desired. Insurance companies see accidents as random events. That means in any given time or place the “odds” — a measure of the likelihood of an event’s occurrence — have an equal probability of happening — or not happening (for a given set of like organizations). Somewhere out there another mattress will fall off another vehicle. But we just can’t predict when or where. It will be another random event. We can, however, prepare our drivers for these freakish events. We know, for example, that 90% to 95% of crashes are due to human error. Driving means operating a vehicle at high speeds inches away from other humans operating their vehicles. Human drivers are prone to making errors. Sometimes serious errors. This means we need to always drive defensively. Fully automated driving is years, if not decades away (according to the Virginia Tech Transportation Institute). 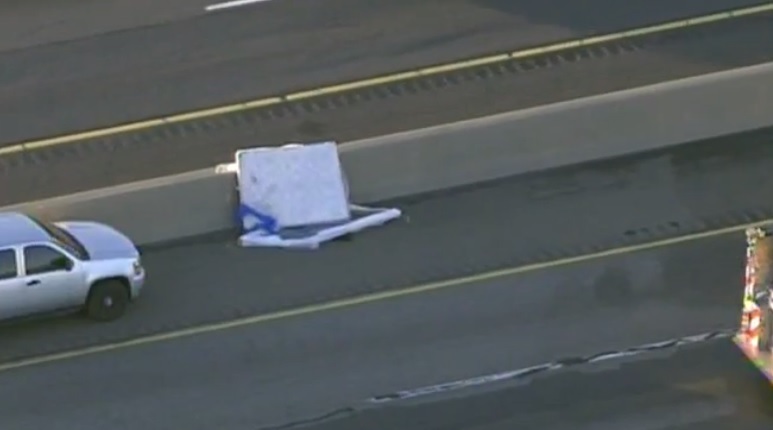 What do I do if a mattress is on my path in the roadway? 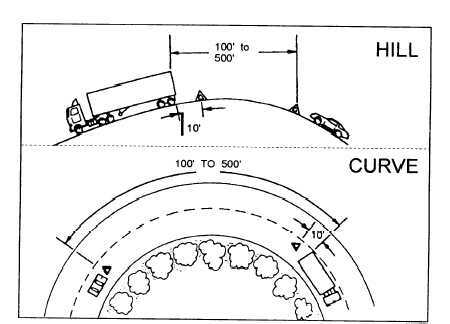 How should I safely crest a hill? How should I check traffic at an intersection? What should I do for a tire blowout? These are just a few “random” events I pulled from today’s Google Alert on truck crashes. There are many driving situations that should be reviewed periodically with drivers. Top companies do this in the form of a newsletter, in the context of a safety meeting, a Qualcomm message, or a call from a dispatcher. Prepare today for tomorrow’s random events. It will save lives and property and help keep everyone’s insurance rates down. An Eye Opener . . .
An opthamologist told of an eye exam he once preformed. The elderly patient casually remarked he had just driven over 1,400 miles, back from Florida. Here are the stories of two commercial drivers who had their full eyesight, but it wasn’t on the road. Driver A, 71 years old, was turning the corner 3.30 pm on January 29, 2014, when he hit a 52 year old woman. He had been waving to a fellow bus driver who had given way to him. He continued on for about 20m (65 feet) before stopping, trapping the woman under the bus for several hours. She died in the hospital. He was charged with negligent driving causing death and later pleaded guilty. According to the prosecutor, he was not looking right when he was turning right. Driver B, is suspected by the prosecutor of watching a video while driving on I-405, when he slammed his truck into a disabled car, killing the 19 year old driver. A post-accident analysis revealed an unexplainable 18 second delay in reacting to the car. 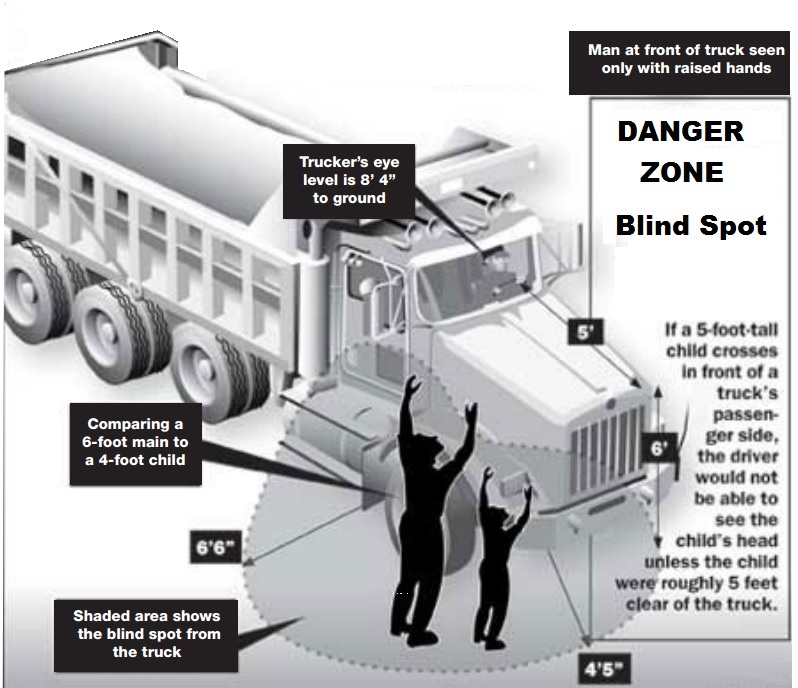 The truck driver was not fined or criminally prosecuted for vehicular-homicide. 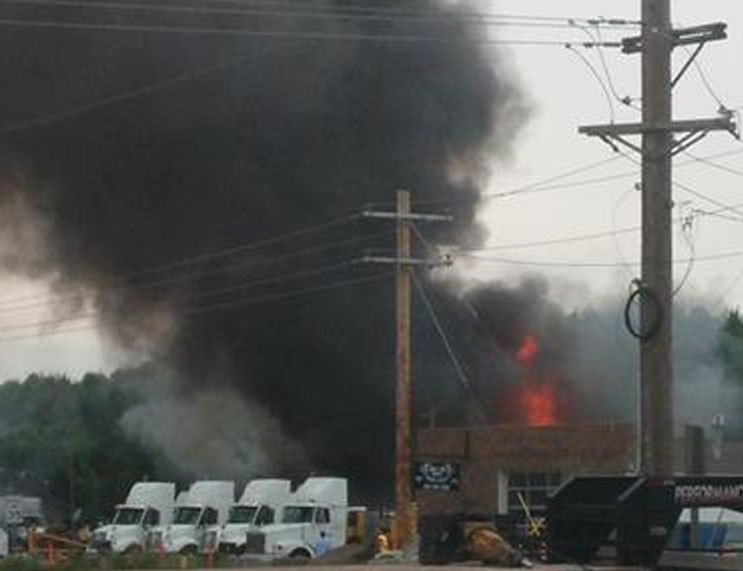 The deceased driver’s family settled for $750,000 in insurance. The most dangerous tasks while driving are visual-manual in nature (reaching, typing, texting, writing, interacting with passengers, eating, drinking, or smoking). The greatest, most serious distracting things in the vehicle today are handheld electronic devices. The key point is that any time a driver takes his or her eyes off of the road to attend to other tasks, risk will increase. And the risk increases not by a small margin, but by a magnitude of hundreds of times. Hermitage, PA. This driver lost control after choking on a drink, destroying 23 new cars. Among VTTI recommendations is: The public needs to be informed of the relative risks of the various tasks that are commonly accomplished in a moving vehicle. Anything that a driver does that takes his or her focus and vision off of the road carries with it a high measure of risk, greater than most drivers seem to realize. Now help spread the word.